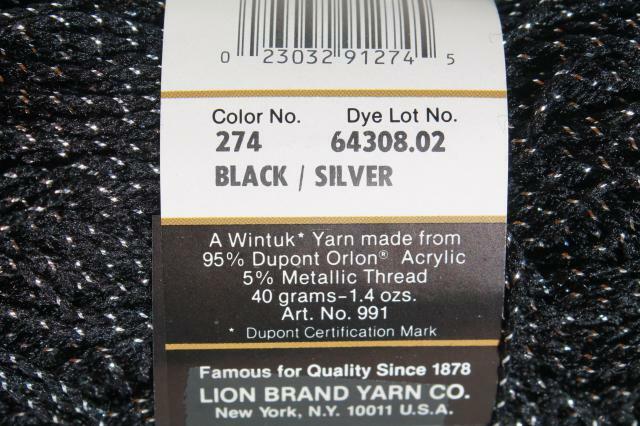 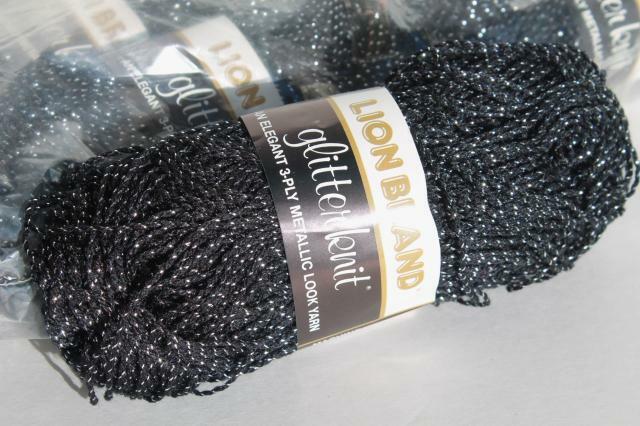 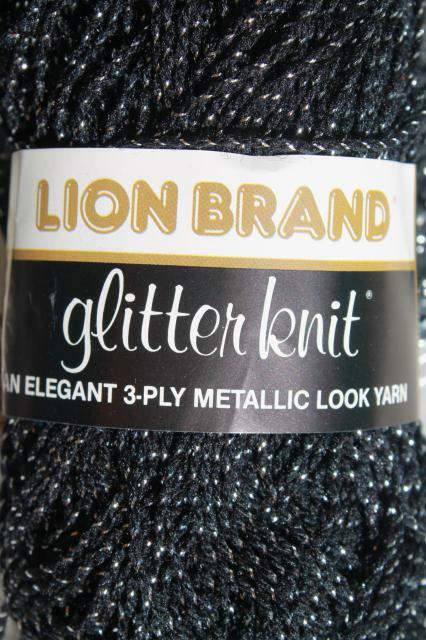 Large lot of Lion brand glitterknit yarn in the black with metallic thread. 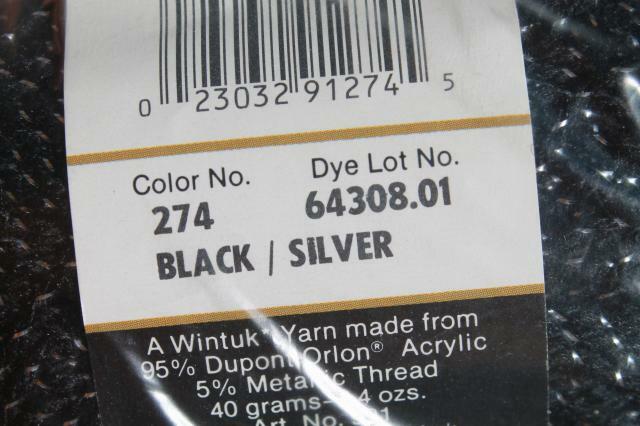 There's ten full 1.4 skeins in dye lot #64308.01 and nine full skeins in dye lot #64308.02 (we can't tell them apart except for the numbers on the labels!) 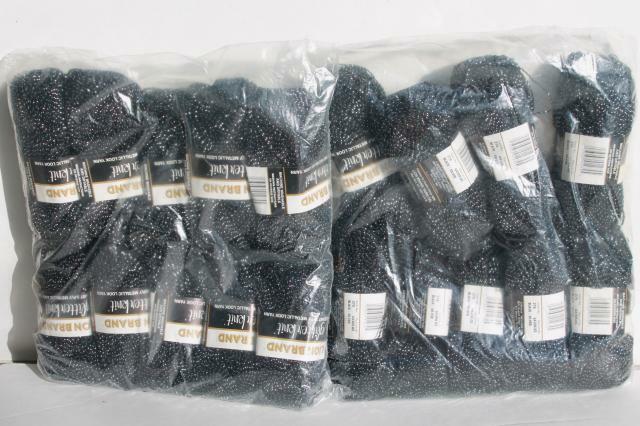 It's all in good clean condition, very nice.